Window shutters are arguably the most popular dressing option for windows. Furthermore, you can pick from several interior shutter styles to cover your windows. Style here refers to the design and layout of a window shutter. Each shutter style has its own advantages. The choice of an appropriate window shutter style, as such, depends entirely on your preferences. The infographic below offers a few practical points of differentiation between the different interior window shutter ideas. For instance, while full height shutters and tier on tier shutters cover a window similarly, there is a difference in the panel flexibility they offer. Therefore, the task of choosing from different styles of interior shutters depends upon the shape of your window and your own requirements. Once you’ve settled on an appropriate shutter style, figuring out other aspects like material, colour and slat size is straightforward. If you’d like to know more about the different types of window shutters and how to pick the right one for your home, get in touch with us today. 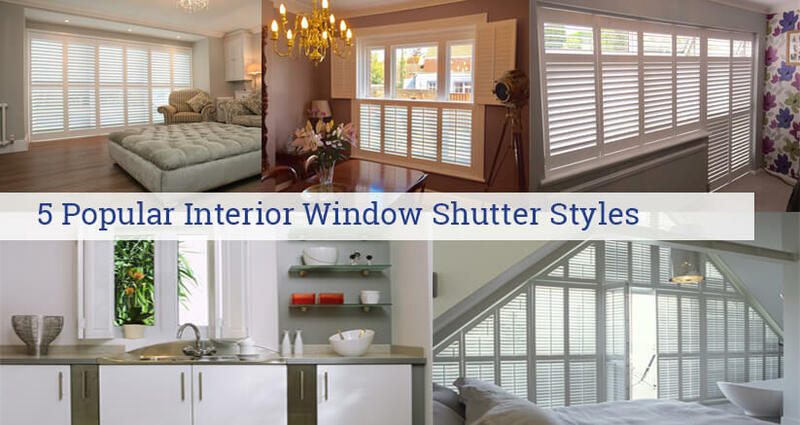 Lifestyle Shutters & Blinds supplies and installs a variety of shutter styles in and around Essex. Once you’ve chosen a design, the shutter is crafted from your preferred material and finish. Call us for more information on different shutter styles and get a ‘free’ quote in return.